I’ve discovered the best way to read the Bible is to make it personal, to view the message of God’s Word as personal, and to understand the words as written for me—personally. How’s that for personal? The Bible itself encourages this method of Bible study. David, speaking in Psalm 16:11, says, “You make known to me the paths of life.” David has a personal relationship with God. While it’s true the Bible has a message for all people, God intends for that message to be understood and received by each individual. Although I read through the Bible every year, I always ask for new insight into how each day’s reading is speaking to me personally, what personal message God is intending for me in the verses, and in what way a particular Scripture can deepen my personal relationship with Him. How personal can it get? Psalm 139 says it all. 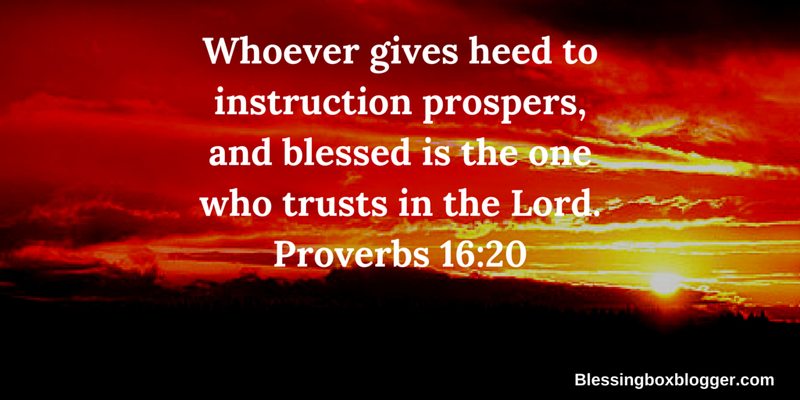 For a great selection of various Bible Reading Plans, click here. It was on the other side of the auditorium from where my husband and I usually sit. This location on the “outer fringes” would not have suited him, but since I was alone and trying not to disturb others with my late arrival, I scooted into an empty row of seats just as the worship leader began leading the congregation in a praise song. Within seconds, though, a middle-aged couple in front of me caught my attention. I wasn’t acquainted with them, but I could tell, by the way they sang the praise choruses with familiarity and enthusiasm, they were probably regular churchgoers. At one point during the singing, the husband looked over, smiled at his wife, slipping his arm around her waist. She, in turn, patted his hand. Their loving gestures seemed to demonstrate a worshipful delight at sharing this experience together. As I observed their obvious love for the Lord and for each other, it made me smile, and I felt blessed. At the beginning of the second song, the couple’s son and daughter-in-law joined the couple, appearing to apologize for their late arrival. Although I was just guessing at their relationship, the “son” was the exact height and spitting image of his “dad,” so I felt safe in making this assumption. As soon as the younger couple unashamedly greeted the older couple with hugs and kisses, they too joined in singing the worship songs. As I observed their outward affection toward one another, it made me smile, and I felt blessed. As soon as the pastor began his sermon, all four individuals opened their well-worn Bibles and followed along as he read the Scriptures. Each one wrote down in the worship folder the different points the pastor was emphasizing in his message. When the pastor made a humorous remark about families in his talk, the four of them looked at each other and laughed, whispering back and forth for a moment as they enjoyed the joke together. As I observed their attentiveness and serious approach to the hearing of God’s word, it made me smile, and I felt blessed. On my way home from church, I thought about how four ordinary people had been a blessing to me. They were not Hollywood glamorous or especially attractive from a physical standpoint. Their clothes were not expensive or fashionable. None of them spoke any words of wisdom to me or gave me any spiritual insight. Yet, they blessed me because they were expressing their love for each other and their love for God in a worship service.